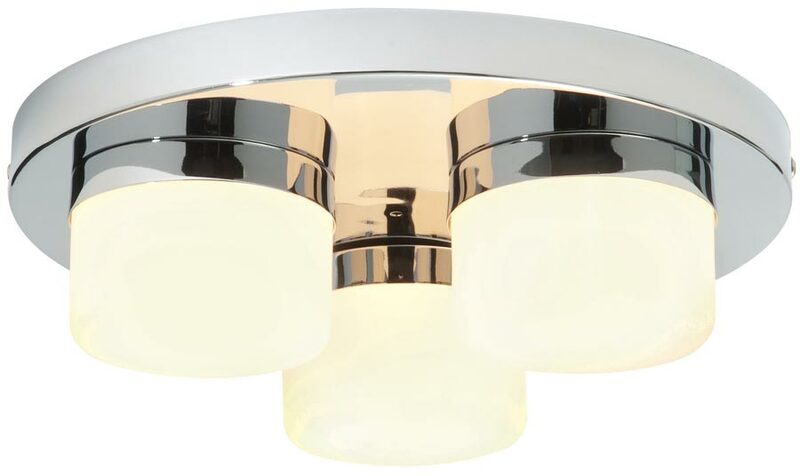 Stylish polished chrome circular splash-proof bathroom ceiling light, with three protruding opal duplex glass shades for a softer light output. Suitable for bathroom use in zone 2 thanks to its IP44 rating and can also be used to great effect in other rooms in the house with a lower ceiling height due to its slender 88mm installed height. Other products in the Pure bathroom lighting range can be found below and include a matching switched wall light.